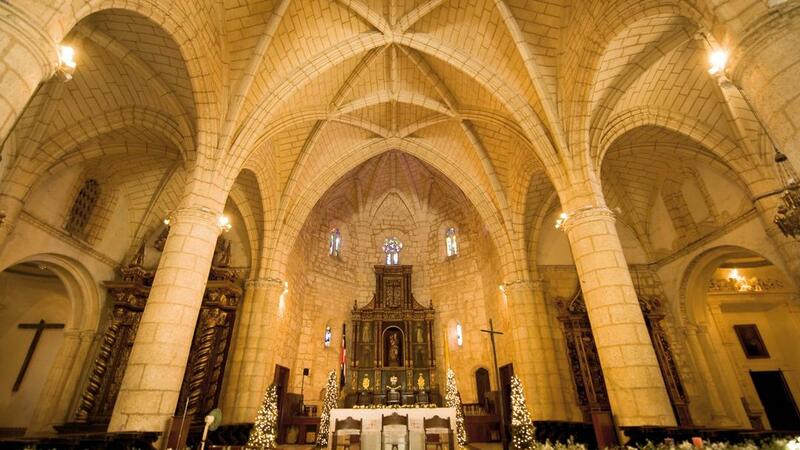 Santo Domingo´s Colonial Zone: following in Columbus´ footsteps! Walk the same streets as Christopher Columbus! 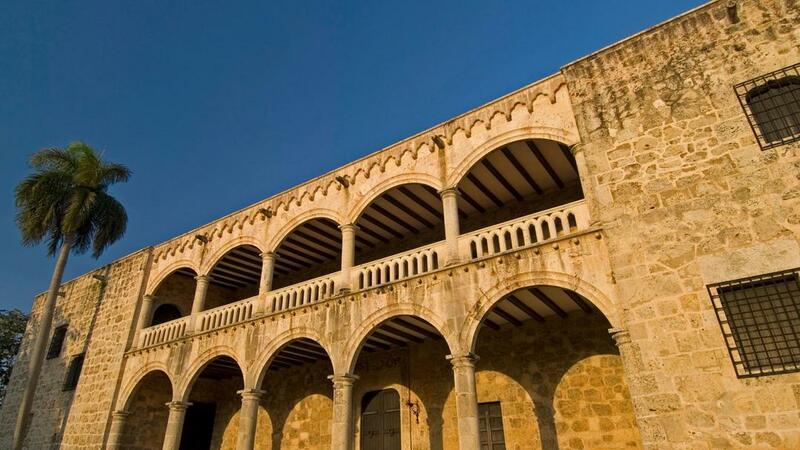 The Colonial Zone in Santo Domingo, the oldest city of the New World, is a wonderful combination of past and present. 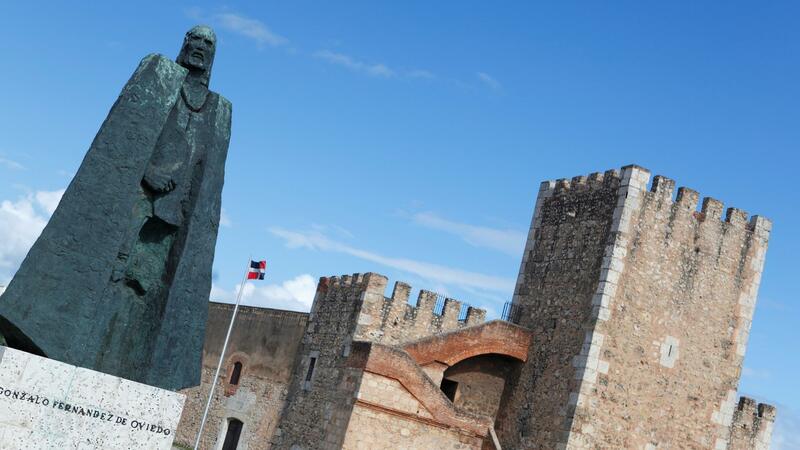 Christopher Columbus arrived in 1492 in what is known today as the Dominican Republic. The beautiful island with its mild climate and diverse landscape reminded him of his own country, Spain. He therefore claimed the island and called it La Española (“the Spanish”). 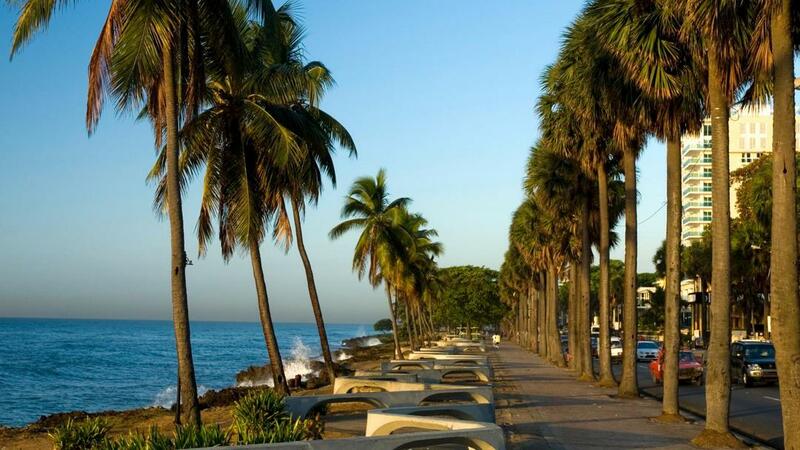 The city of Santo Domingo was founded six years later in 1498 on the banks of the Ozama River. From its port, numerous explorers set out to conquer new lands in the Americas and started spreading the European culture. 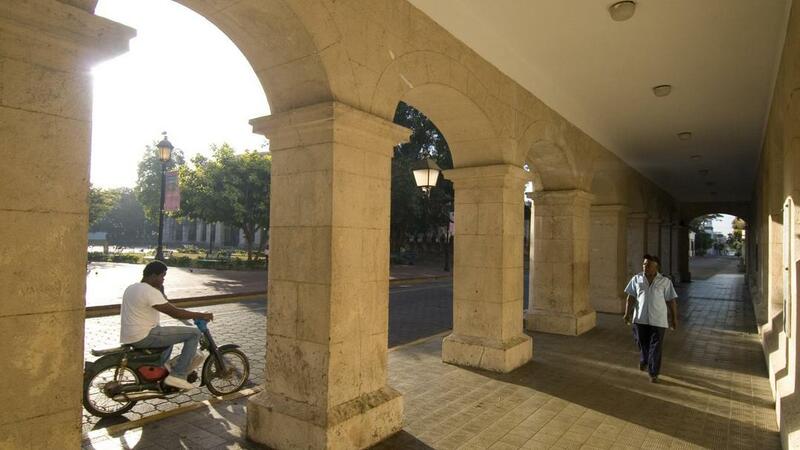 The first cathedral, hospital, customs house and university of the American continent were built in Santo Domingo and the grid pattern design of the city was used as a model for other new cities in the Americas. Today you can still experience those early beginnings. There are 500 year old buildings and structures to experience, and the original patterns of the old streets are preserved. The first cathedral of the New World remains one of the most popular attractions and shouldn’t be missed. Take some time to explore the whole Colonial Zone, walk the narrow streets, roam along the preserved walls that surround parts of the city and visit the remaining historical buildings and museums. 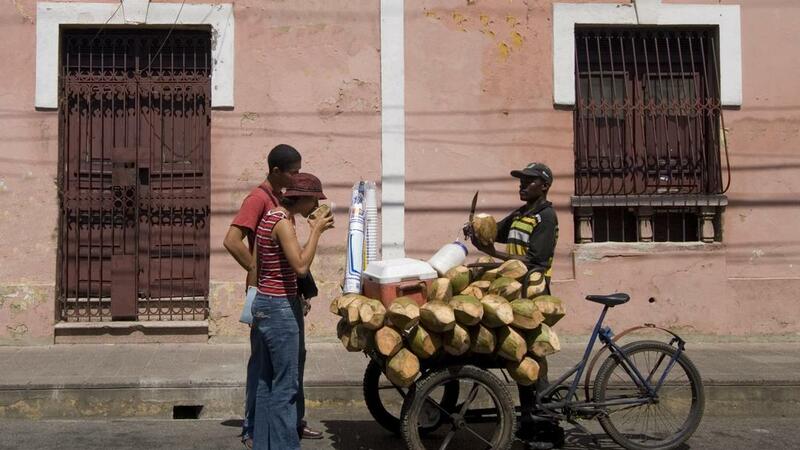 In recent years the Colonial Zone has become a lively and vibrant part of the city. It offers many shopping opportunities, good restaurants and nice little cafes as well. You will meet a wonderful mix of people from different cultures and many street artists. 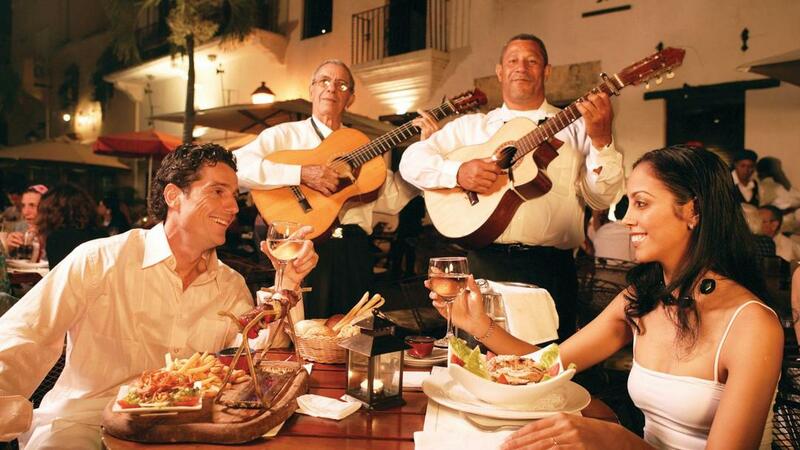 For a perfect ending to an interesting sightseeing-day we highly recommend that you to go to one of the outdoor restaurants at Plaza España in the heart of the Colonial Zone; for example Pat’e Palo European Brasserie, Pura Tasca or Ristorante Angelo. 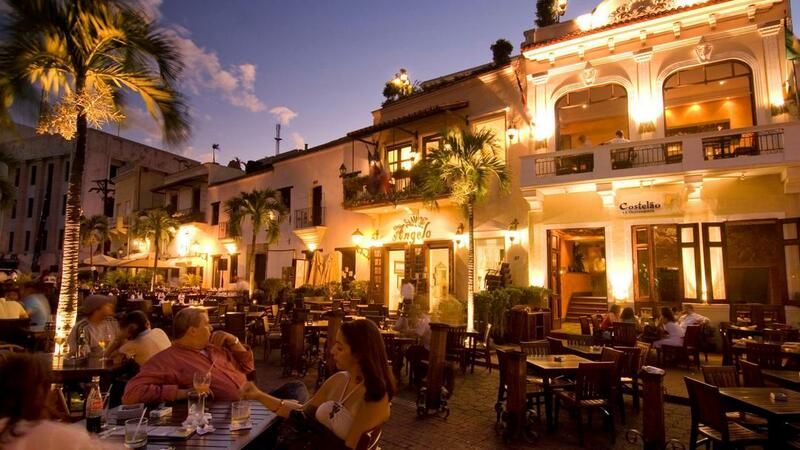 Wonderfully lit up at night, the plaza is one of the favorite hang-out spots for Dominicans and tourists alike. 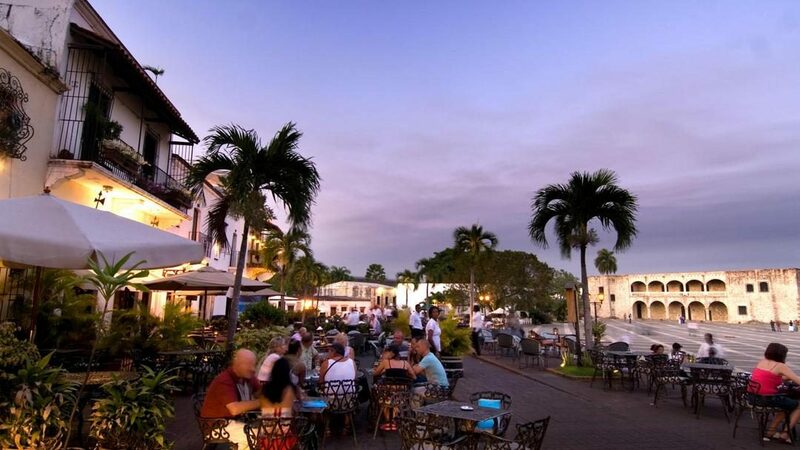 It invites you to sit down and enjoy a delicious dinner while overlooking the plaza with the best view on Columbus Alcazar, the original house of Columbus´ son. Let the evening fade away in a relaxed way or go and explore the Zone´s vivid nightlife with its numerous bars and entertainment options! 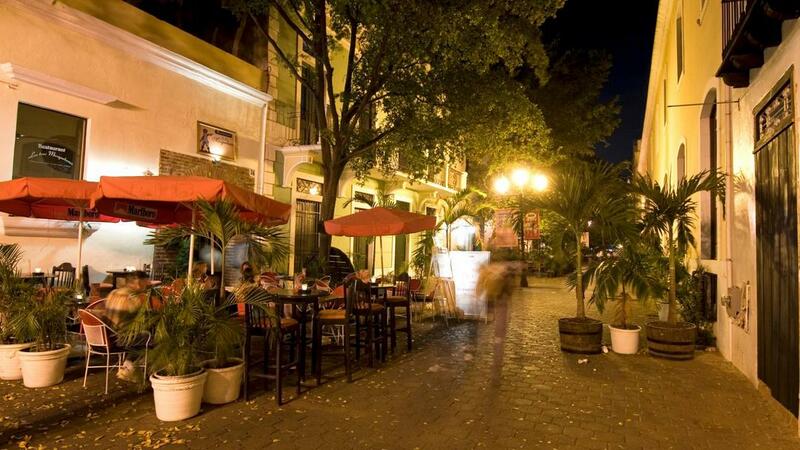 If you would like to visit Santo Domingo we highly recommend staying in hotel Portes 9*** (an affordable, cozy guesthouse with an excellent location in the heart of the Zona Colonial) or Casas del XVI ***** (a luxury boutique hotel with historic elements in the Zona Colonial). We can offer you city tours in different languages. From Santo Domingo we offer many different options for self-drive and/or chauffeured private tours in the Dominican Republic. They usually include a personal briefing with a freshly prepared tropical beverage, detailed information about the excursion, and the Dominican Republic in general. Please contact us and we will be happy to organize your customized trip. 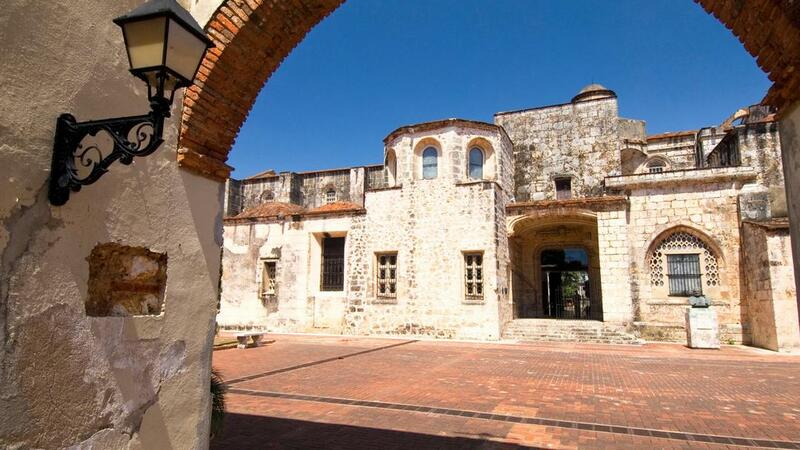 You want to explore the amazing colonial city and follow in Columbus´ footsteps? 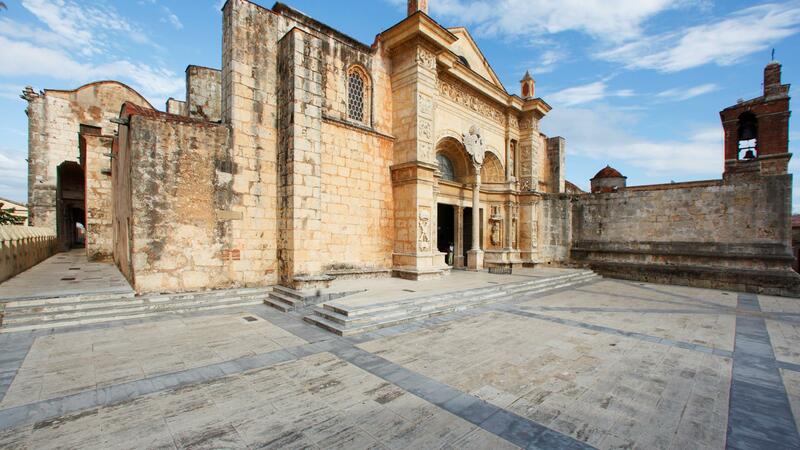 Ask us for your personalized tour to Santo Domingo – the oldest city of the New World!